It's appropriate to accompany your husband to the funeral. When you're the second wife, it can be tricky to navigate family affairs involving the first wife without ruffling any feathers. This is especially true at funerals, where emotions naturally run high. Because of the relationship they once shared, it's appropriate for your husband to want to pay his respects at his former wife's funeral and it's only natural that you'd want to accompany him for moral support. At the same time you do not want to upset any family members during an already upsetting time. The way you proceed will depend on the relationship your husband and his children have with the deceased and her family. 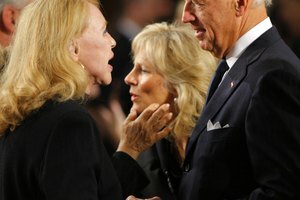 If your husband has a good relationship with his ex-wife's family, his presence at the funeral will likely be welcomed. Even if no one goes out of his way to talk to either of you, it's likely that the family will view your presence in a positive light. If your husband and his ex-wife share minor children, it's appropriate for you to accompany them to their mother's funeral. If your husband has a poor relationship with his ex-wife or isn't sure if his presence will be welcomed, it's appropriate to contact the funeral home directly and ask the funeral director to speak with the family about their wishes regarding your attendance. If your husband shared children with his ex-wife, those children should sit up front, behind the immediate family. You and your husband should sit in the row behind the children, according to professional etiquette instructor Didi Lorillard of Newport Manners. This allows you to offer support to your children. If you have very small children, it's appropriate to sit with them rather than behind them. If you and your husband are not accompanying minor children, you should sit in the middle or back rows rather than up front with the immediate family. Neither you, nor your husband, are under obligation to attend the funeral of his ex-wife, even if they share children. 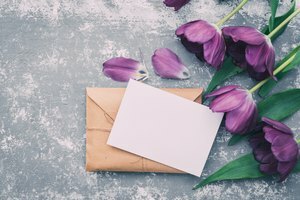 If you would still like to pay your respects as a couple but do not want to attend the funeral, the appropriate thing to do is to send a card or heart-felt note to the family expressing your condolences. Be sure to keep the note short and not to rehash any history involving the circumstances of the separation. The funeral is not the appropriate place to bring up past conflicts. If you are concerned but unsure if your presence will upset the family, you should have your husband contact the family directly to express condolences and to ask if his presence is welcome. Funeral etiquette dictates that it's customary for spouses to accompany each other to funerals, according to FuneralWise, but it may be in your best interest to make sure the family is aware you will be accompanying your husband. If he cannot contact the family directly, he should contact the funeral home, which is in charge of handling unwanted guests. The funeral home will contact the family. Once there, play it by ear. If your presence seems to make others uncomfortable, step outside or have your husband make a brief appearance to pay his respects, then leave. Downey, Lillian. 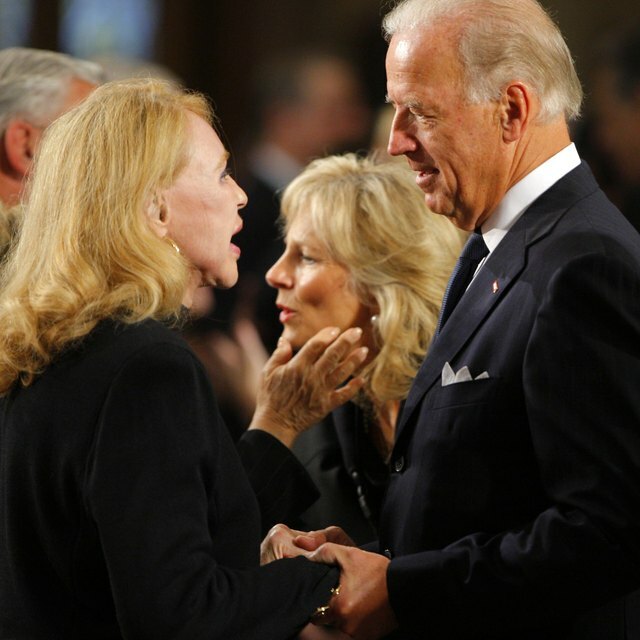 "What Is the Proper Etiquette for Attending a Funeral for Your Husband's Ex-Wife?" 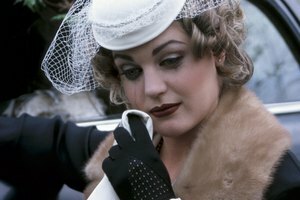 Synonym, https://classroom.synonym.com/what-is-the-proper-etiquette-for-attending-a-funeral-for-your-husbands-ex-wife-12085488.html. 29 September 2017.